The owners of 5&6 Connaught Place, a grand house facing Hyde Park, wanted its interiors to balance the building’s history with bold contemporary insertions. They chose London based design studio 1508 London to help them achieve their vision. The property has rich Regency heritage and the 1508 London team devised a design concept that combined the best of traditional architectural details and craftsmanship with complementary modern flourishes. 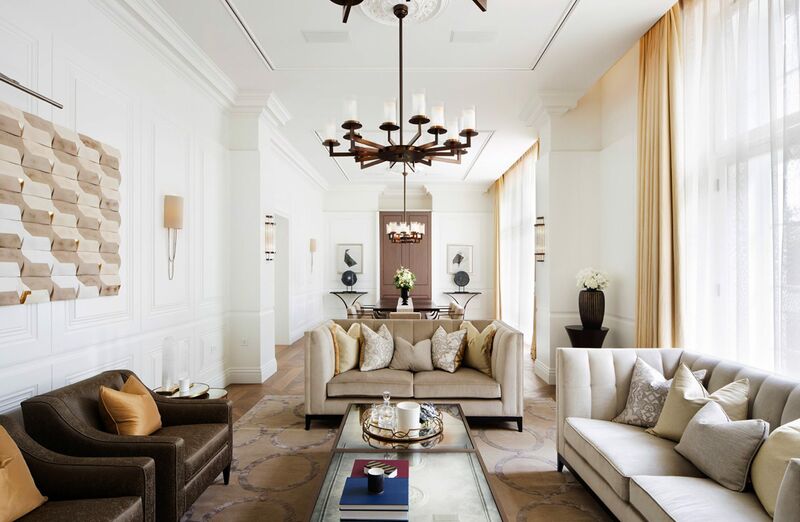 Dernier & Hamlyn was commissioned to manufacture bespoke chandeliers and install them throughout the property. They needed not only to be sympathetic to the scale and proportion of the rooms in which they were situated, but also to embrace continuity between the metalwork finishes used for the lighting and elsewhere in other elements of the design.